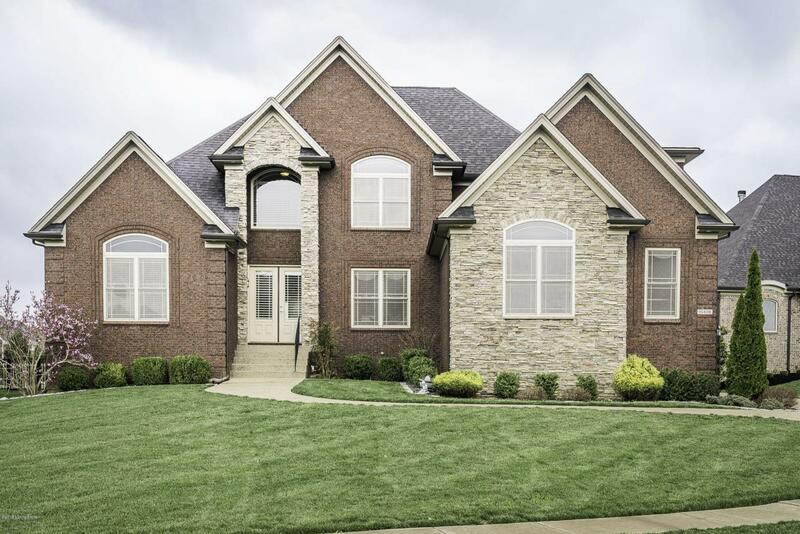 Welcome to this gorgeous brick home in Fox Run. 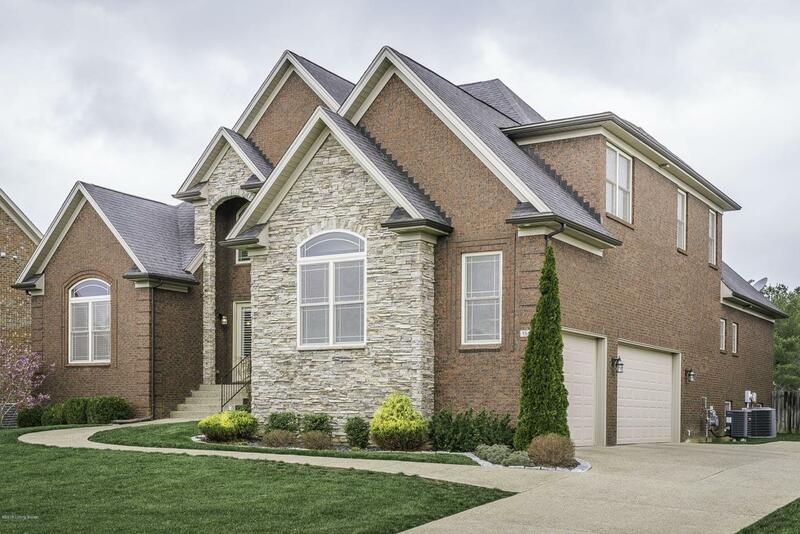 The grand 2-story home has 8 ft. entry double doors with beautiful detail from the moment you enter. Tray ceilings adorn several rooms and halls with decorative crown moldings and arched doorways throughout. Light floods the house through the living room highlighting the vaulted ceiling, large kitchen & hearth room. The first-floor has a natural flow with the formal dining room just off the entry and has detailed wainscoting and tray ceilings. The large & luxurious first-floor master bedroom with generous sitting area, has double closets & vanities with granite counter tops. Relax in the master whirlpool tub and take in the detail of the art glass window or enjoy the separate tiled shower.Site lines in this house are amazing with the living. The gourmet kitchen includes stainless steel appliances, granite counter tops & stainless fixtures. Custom built-ins flank the fireplace for added storage and design. First-floor laundry, half bath, large walk-in pantry and entry into the OVER-SIZED 3-car garage can be found just down the hall. 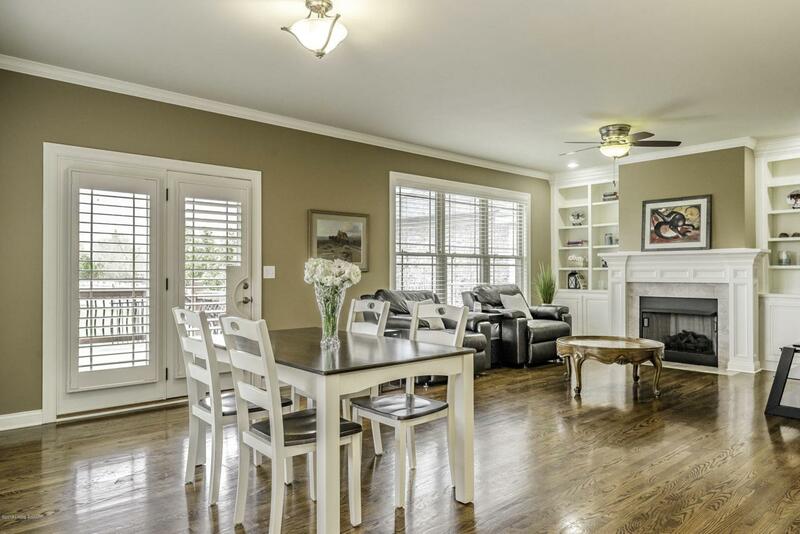 French doors open to a covered deck with steps down to a magnificent fully-fenced backyard. Upstairs there are 3 spacious bedrooms, one with an ensuite and an additional full-bath - (two full-bathrooms total upstairs.) 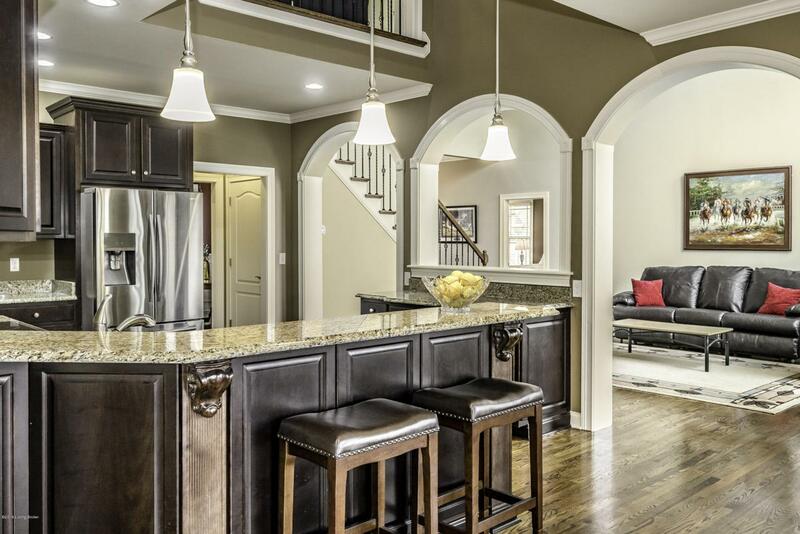 In addition to all this grandeur, there is a HUGE full unfinished basement is a bonus in this immaculate home. Schedule your showing TODAY. This may be the one you've been waiting for! Listing provided courtesy of Virgin Property Group. © 2019 Metro Search, Inc. All rights reserved.